Recent studies show that the vast majority of the LGBT community considers itself politically liberally. Yet nearly 25% of all LGBT voters helped re-elect George W. Bush in 2004—who are these people and why did they make that choice? Gay Conservatives examines why conservative LGBTs join political groups and support political candidates that not only don’t favor policies that benefit the LGBT community, but in some cases, advocate prejudicial policies. This thought-provoking book looks at the impact of “group consciousness” on conservative LGBTs and how it affects political power and social construction. Gay Conservatives uses both quantitative and qualitative studies that center on conservative LGBTs within in the LGBT community, while using data collected on liberal LGBTs for comparison purposes. Log Cabin Republicans and StoneWall Democrats in several cities were interviewed and an online survey of more than 1,000 LGBTs was conducted by the Gill Foundation in an effort to understand the political identity of conservative LGBTs and how it fits into the bigger picture in the LGBT community. The book examines how—and why—conservative LGBT activity conflicts with the general interests of the community, including the “constitutional” rights of LGBT individuals to marry, whether LGBTs should be allowed to serve openly in the United States military, and whether state and local governments should play a more significant role in dealing with hate crimes directed at the LGBT community. 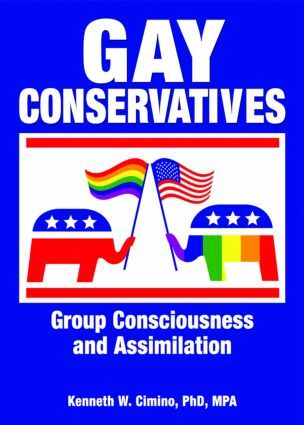 Gay Conservatives is an enlightening and educational read for anyone interested in politics and the political behavior of voters in the United States. Reinventing Queer: Where Is the LGBT Community Headed?